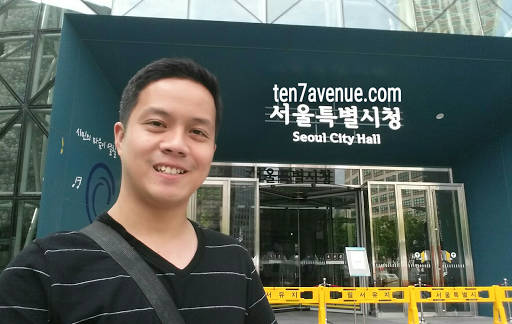 Good thing in the City Hall area is that it is also near other landmarks to visit. 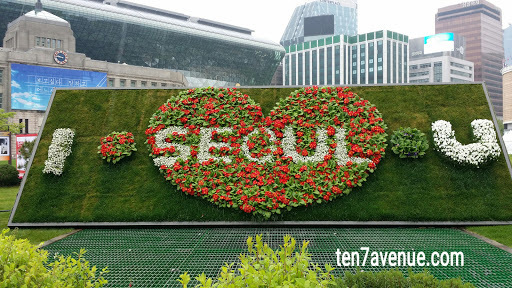 Since it is spring time, most spring flowers are in bloom and vibrant such as this red and white flowers in this "I love you Seoul" landscape at the Seoul Plaza. 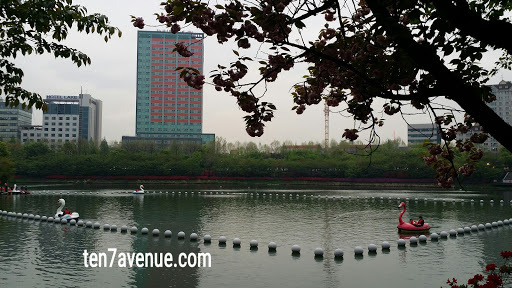 Behind this landscape is the beautiful building of Seoul Metropolitan Library. Lots and lots of flowers at the sidewalk...vibrant and colorful! This is not a usual scene in the Philippines because these spring flowers will surely dry up in the tropical environment. I thought that these are plastic ornaments but no, these are real flowers! 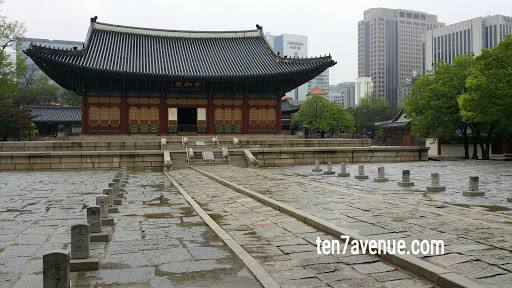 Just across the Seoul Plaza is where the Deoksugung Palace is located. 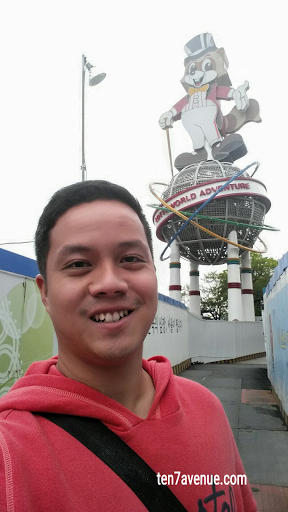 So, I took the chance of exploring the place also. The entrance fee costs KRW 1000. 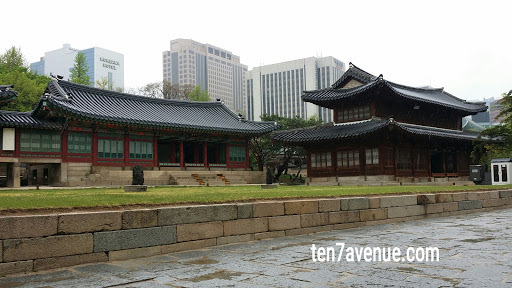 This palace is said to be the palace that has western touch and it bridges the old and modern eras of Seoul. Inside and outside the palace, there are pinkish flowers, and I always suspect it as the cherry blossom, but they are not! I am late for the bloom of the cherry blossoms. 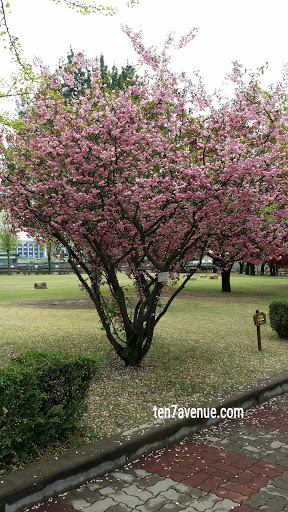 Some moments of rain and gust are also factors that will fall off the flowers just like those petals at the right photo - actually, those are cherry blossom petals. Those trees that you see are not green when the buds are in bloom! As the locals say, you will see white, pink, then green. 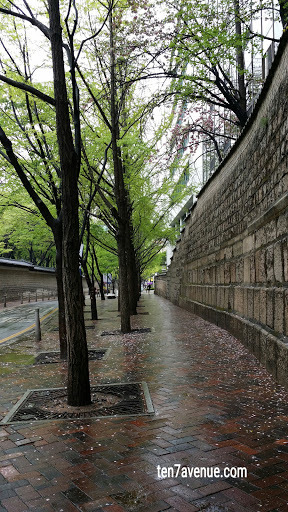 Another point here is that, this stone-wall road you see is considered as one of Korea's beautiful roads, indeed! 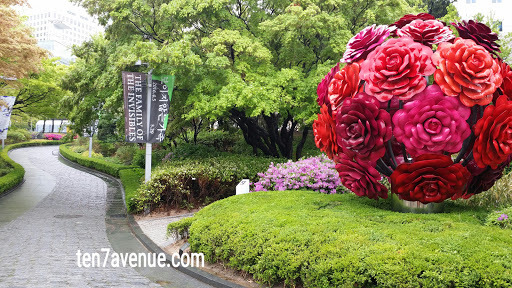 I continued to walk along the vicinity and I arrived near the Seoul Museum of Art. That big floral bouquet is one their entrance's visual arts. The Korean people are really arty! 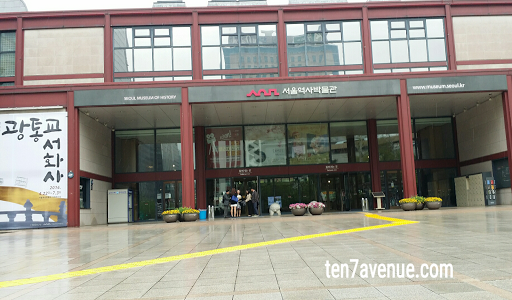 Further steps, you will arrive at the Seoul Museum of History. 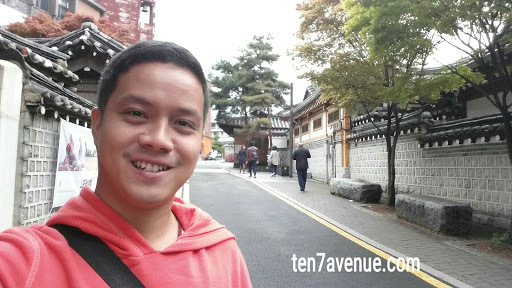 It is where I further explore Seoul through the eyes. They have a scale model of the city that is very cool! It plays well with some lights and texts - very modern to present the division of districts in Seoul even to its main streets. By the way, it has a free admission - good thing because I am able to stay while it is raining. 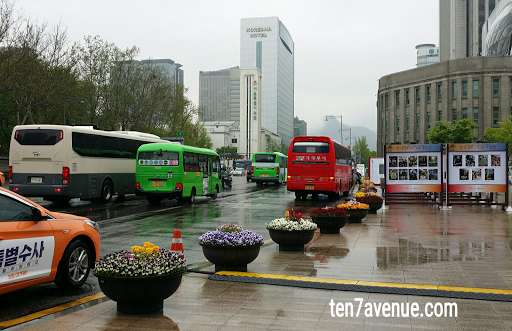 After seeing that cherry blossom, I proceeded to the Gwanghwamun Square. 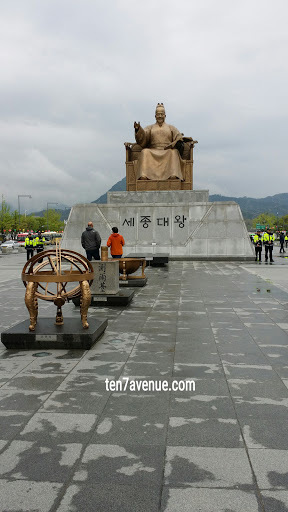 It is where you will see the two most respected historical figures by the Koreans: Admiral Yi Sun-Shin (statue at the left) and King Sejong (statue at the right). 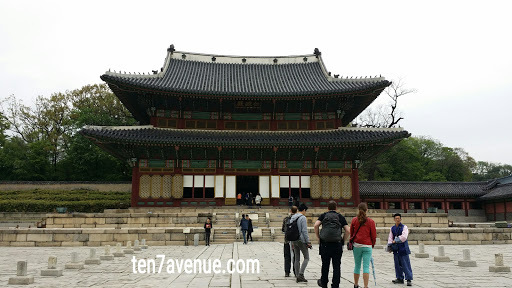 After visiting the Gwanghwamun Square, I proceeded to Changdeokgung Palace - recognized by the UNESCO World Heritage and listed on 1997. 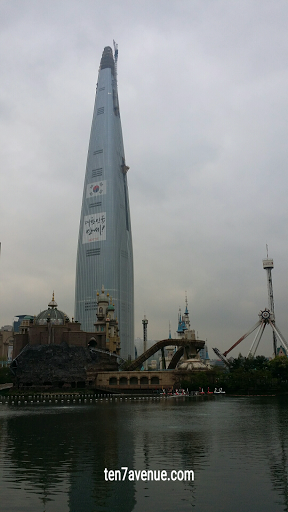 It has an entrance fee that costs KRW 3000. 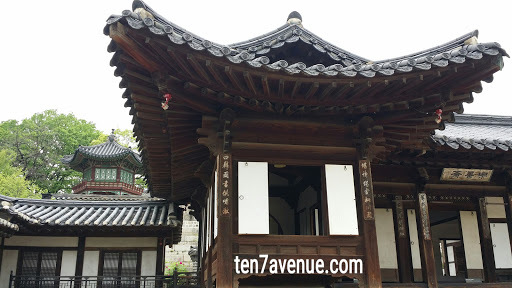 This is among the palaces that has a colorful past and has been home to one of Japan's princesses during the Japanese occupation in Korea. 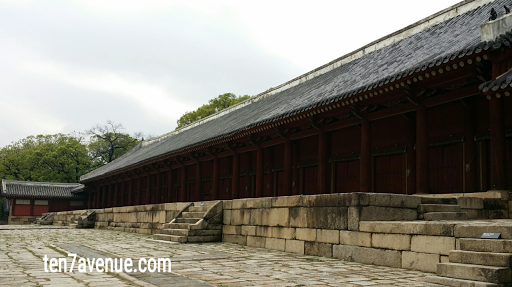 At the Changdeokgung Palace, there is also a scheduled palace tour in English. It is very interesting to learn about the history of the place and I hope there is such a thing in the Philippines. However, there are no royal families in the Philippines, perhaps, it can be done among cultural villages. 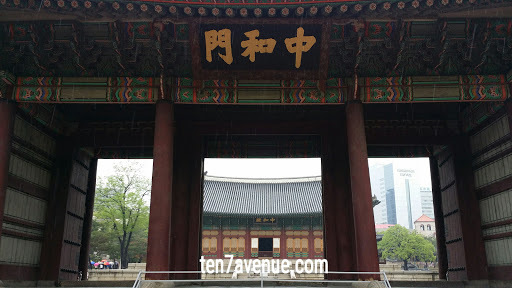 Anyways, moving forward, more steps, the next palace is the Changgyeonggung Palace, however, I did not enter the palace because I want to catch the Jongmyo Royal Shrine. 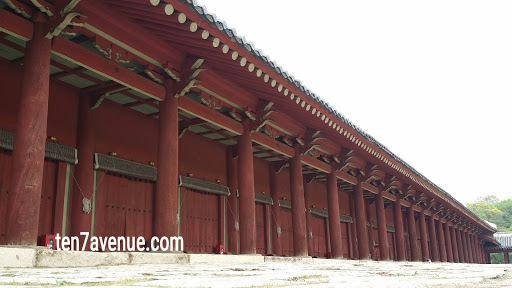 Jongmyo Royal Shrine is also listed among the UNESCO World Heritage Sites in 1995. 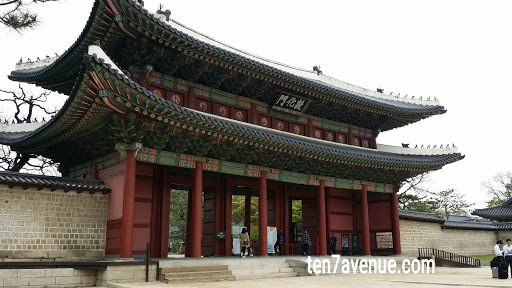 It has an entrance fee of KRW 1000. 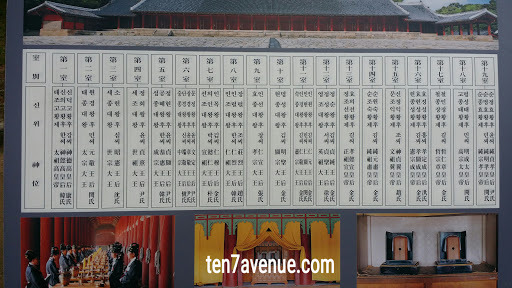 It is where the memorial tablets for the kings and queens of the Joseon Dynasty, the last dynasty the served Korea, are kept. They follow Confucian tradition. Memorial services in this shrine also hold the oldest ancestral rites conducted since 1464. It is recognized as the one of the Masterpieces of the Oral Tradition and Intangible Heritage of Humanity by UNESCO in 2001. At this shrine, there is also an English shrine tour. There are some restrictions where to step in the shrine's paved ways since it is believed that some of those ways are for the spirits not humans. That was a very tiring day. Much of walk the whole day. Pretty excited for another day's tour at the Demilitarized Zone (DMZ), where you will be at South and North Korea's boundary! 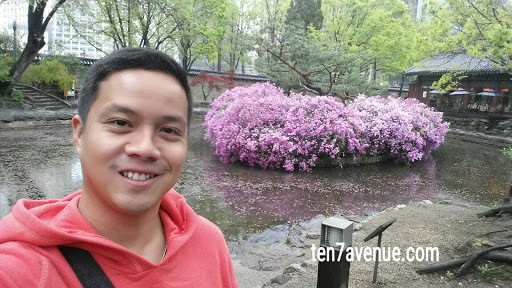 I hope you enjoyed the visit in my avenue, www.ten7avenue.com. Share your story too!